I delight in knowing how hard it was to move the metal, and love how it looks so easy, so slight, almost tender, just like touch. 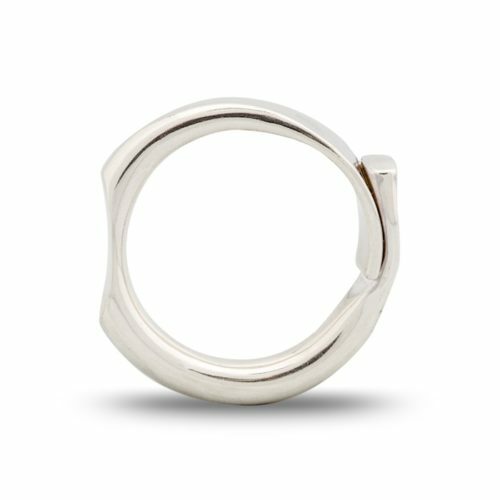 The gaps in the left and right of the ring allow room for the adjacent fingers. 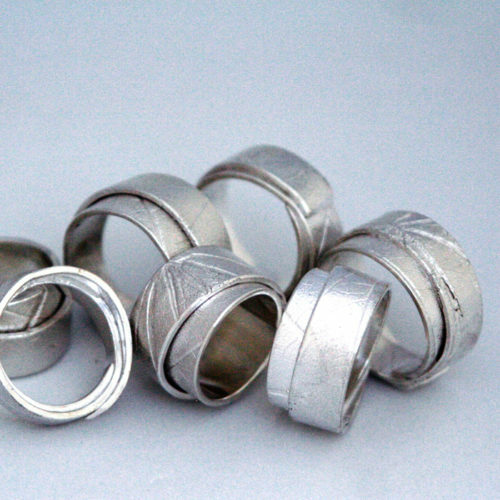 https://dorotheerosen.ca/shop/connections-ring-five/This version of my ‘Connection’ Series is more like a definite decision: two (people, occasions, opportunities, etc.) connect, and ‘Yes!’ is definitively decided. 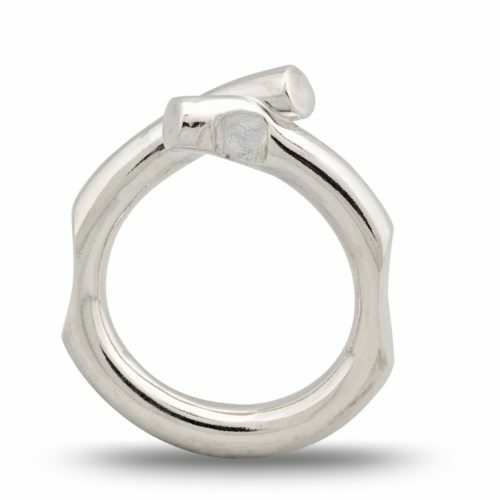 https://dorotheerosen.ca/shop/meeting-ring-six/I delight in knowing how hard it was to move the metal, and love how it looks so easy, so slight, almost tender, just like touch. 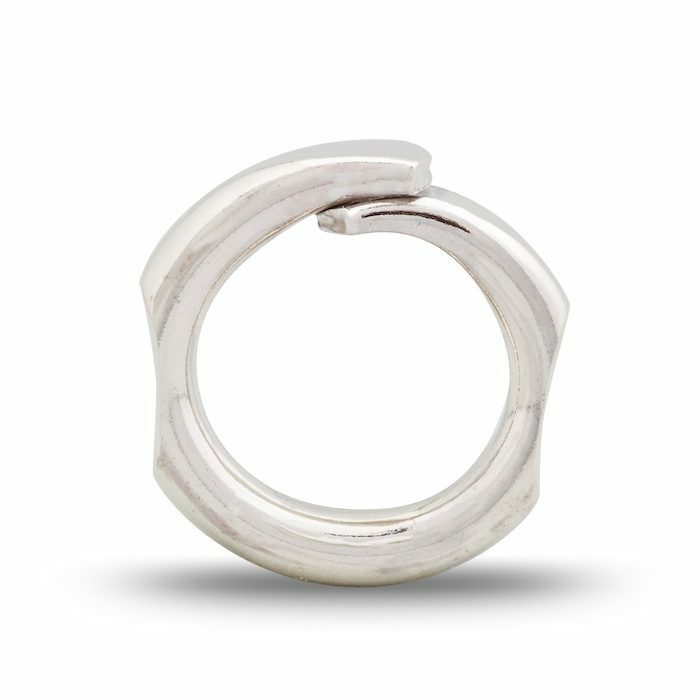 The gaps in the left and right of the ring allow room for the adjacent fingers.